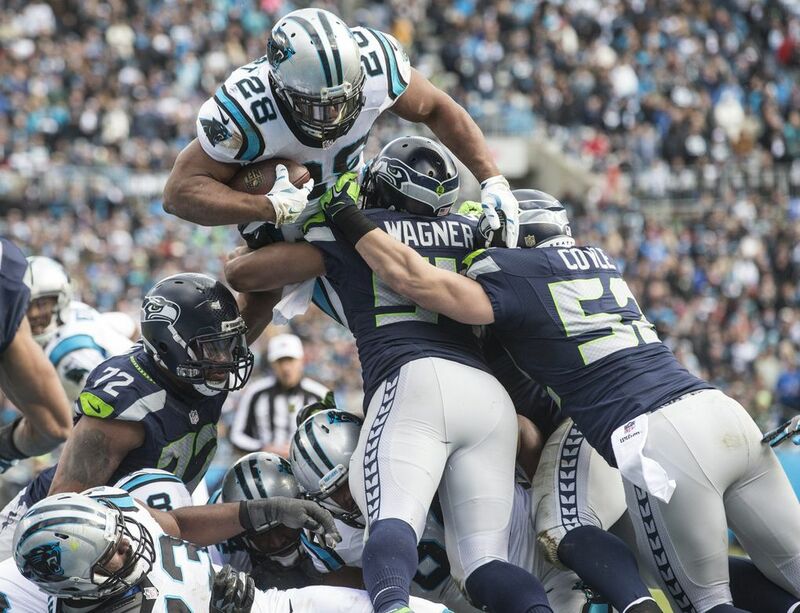 Carolina held on for a 31-24 victory over the Seahawks, who were attempting to become the third team in NFL history to advance to three consecutive Super Bowls. 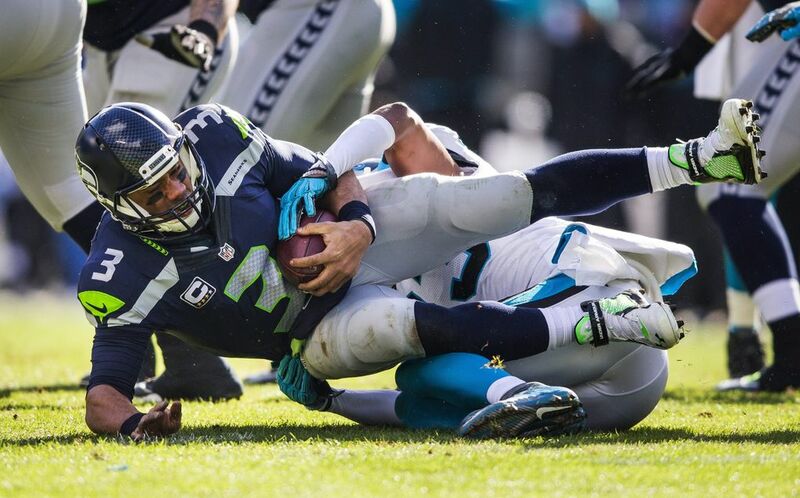 CHARLOTTE, N.C. — It was a game that mirrored the season — a halting start that had the Seahawks climbing a steep hill they just couldn’t quite scale. 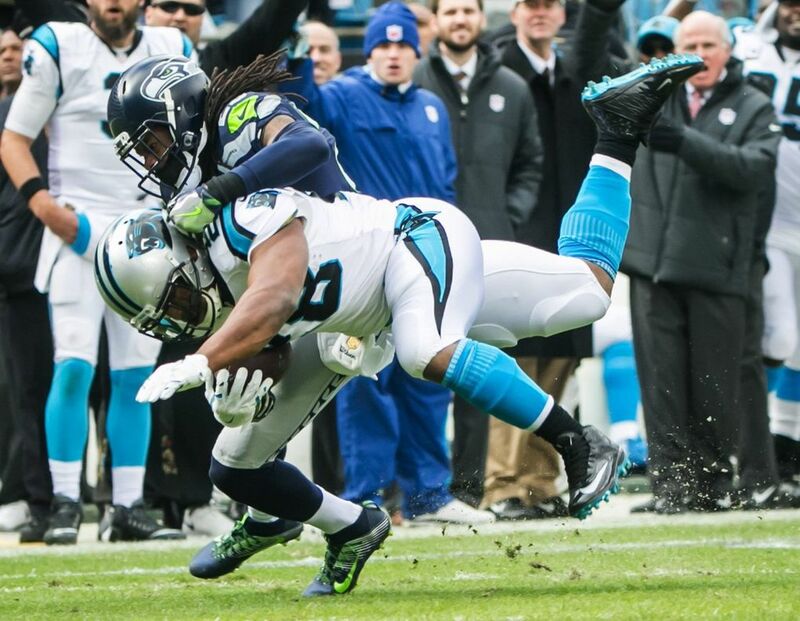 Down 31-0 at halftime Sunday in a divisional playoff game against the Carolina Panthers, the Seahawks scored 24 points in the second half to make the outcome suddenly in question. 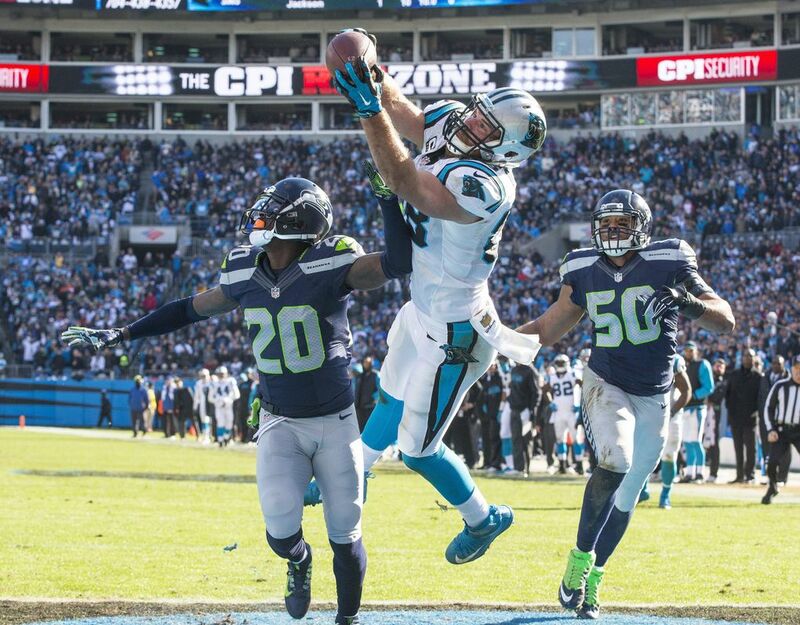 But the Panthers recovered an onside kick, and the comeback — and season — ended there. 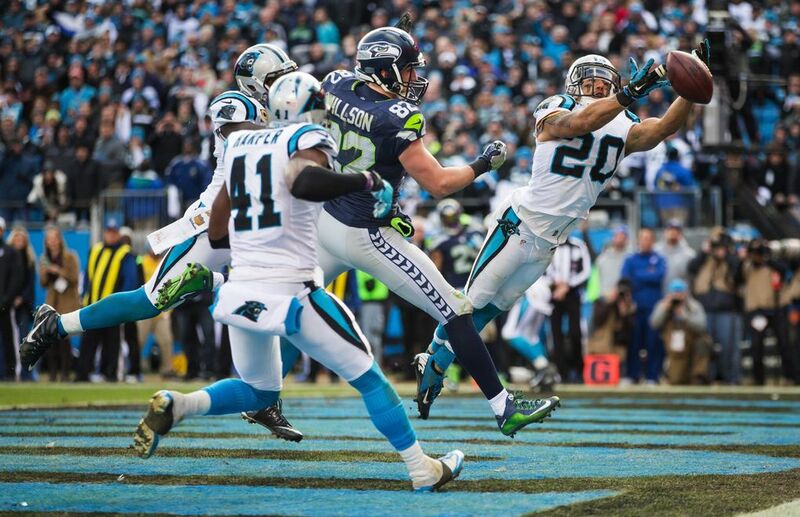 Carolina held on for a 31-24 victory and advanced to the NFC title game next weekend against Arizona. 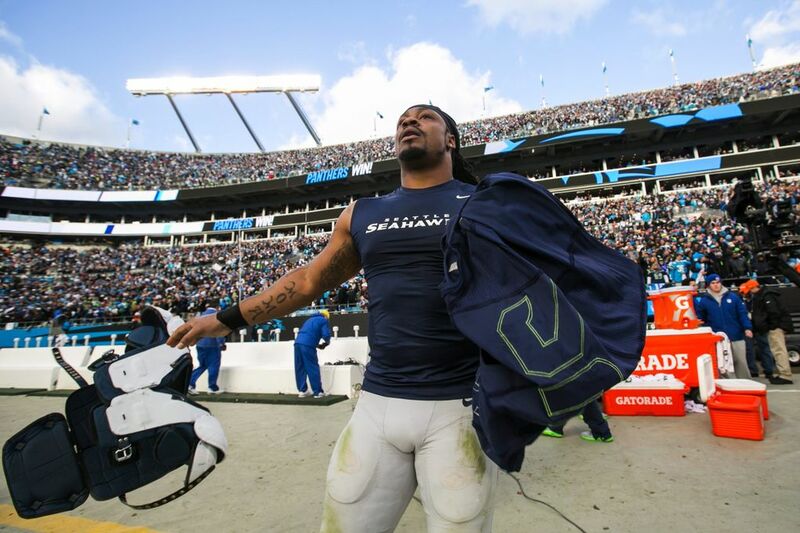 The Seahawks were attempting to become the third team in NFL history to advance to three consecutive Super Bowls. 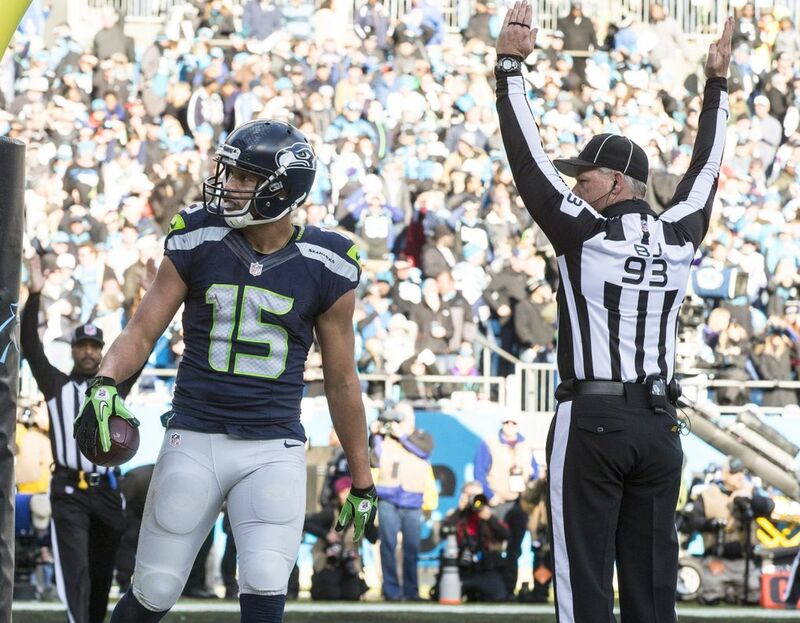 Has Jermaine Kearse played his last game with the Seahawks? 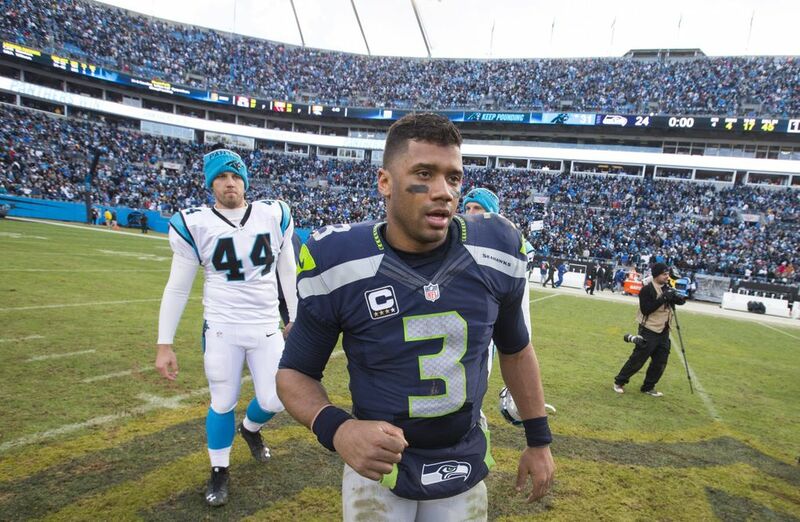 Instead, the run ends a game before the conference title game. 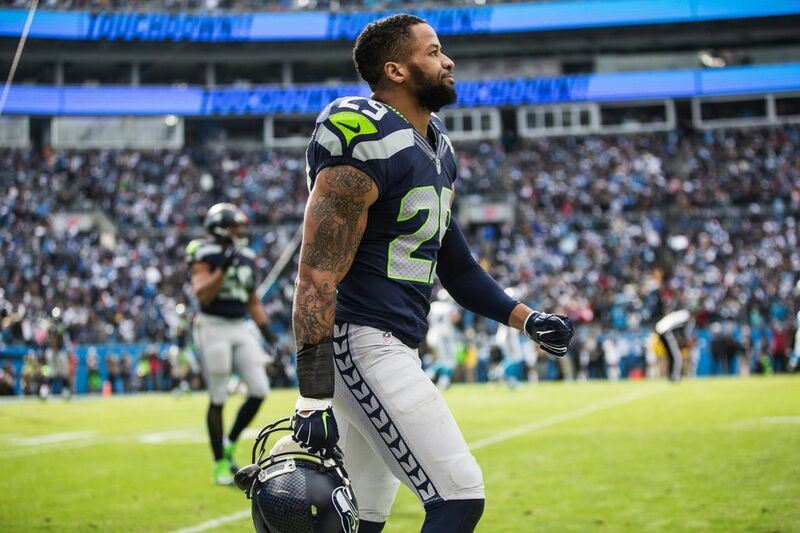 A 2-4 start to the regular season led to a 10-6 regular season for the Seahawks that forced them to play on the road throughout the playoffs. 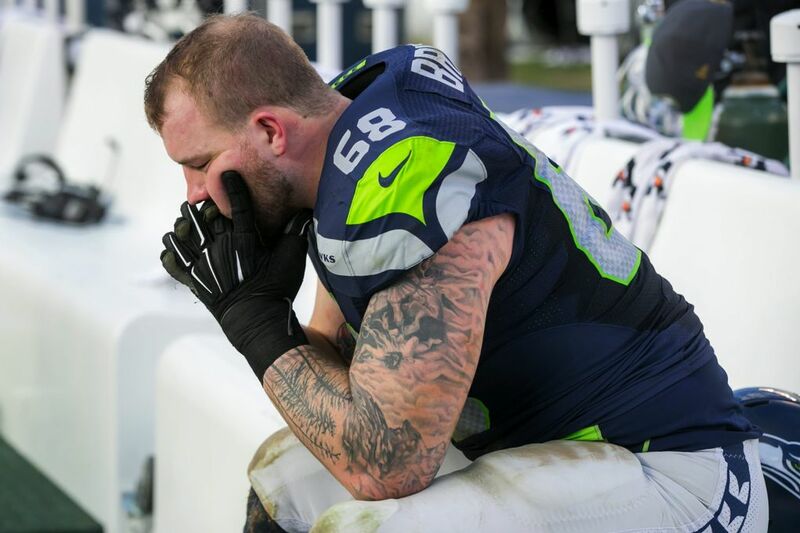 It proved to be too much to overcome. 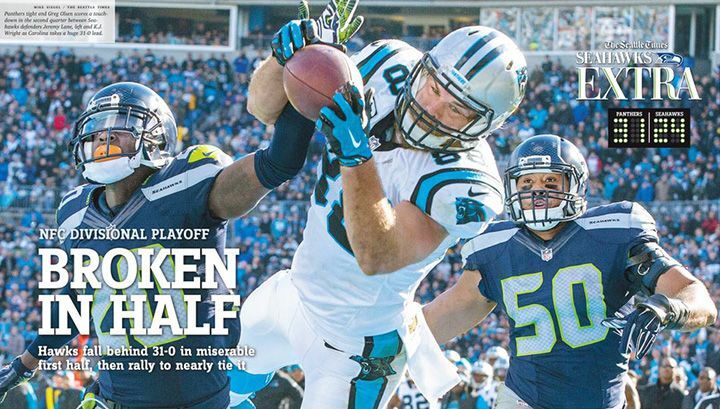 The Seahawks could not have asked for a worse start — or Carolina a better beginning. 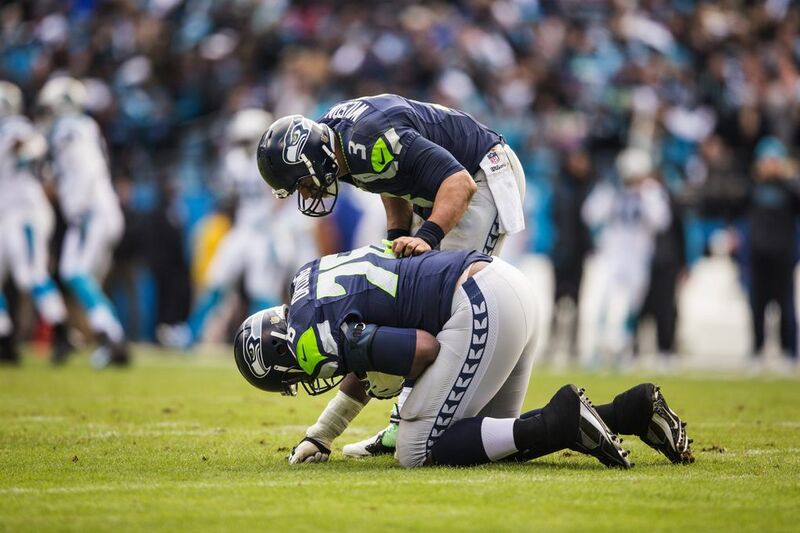 Seattle won the coin toss, but as it almost always does, elected to defer. 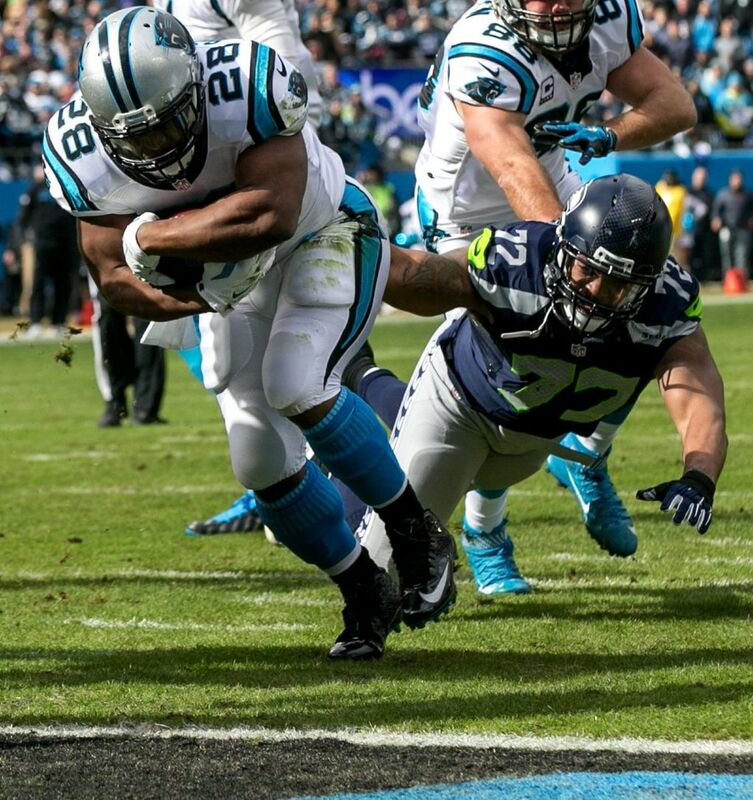 Carolina’s Jonathan Stewart then ran 59 yards on the first play to set up a quick four-play, 75-yard touchdown drive to make it 7-0 with 12:30 to play in the first quarter. 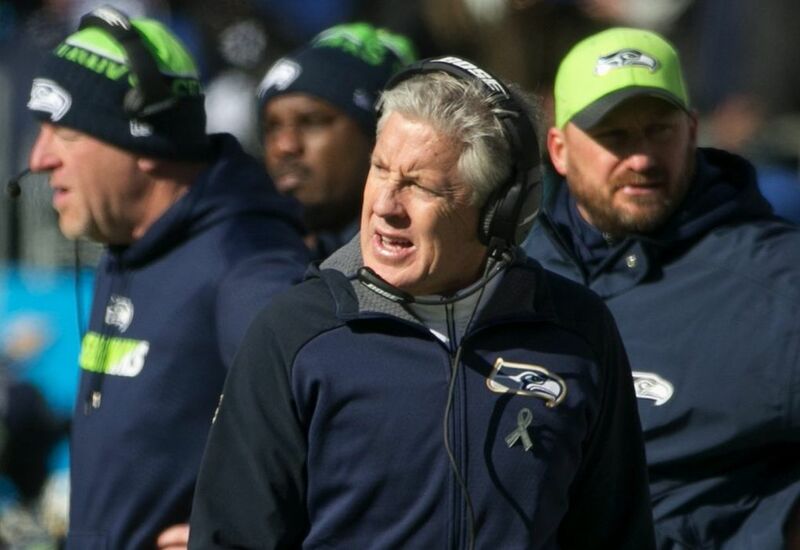 On the second play of Seattle’s first drive, quarterback Russell Wilson was heavily pressured and tried to dump the ball off to running back Marshawn Lynch. 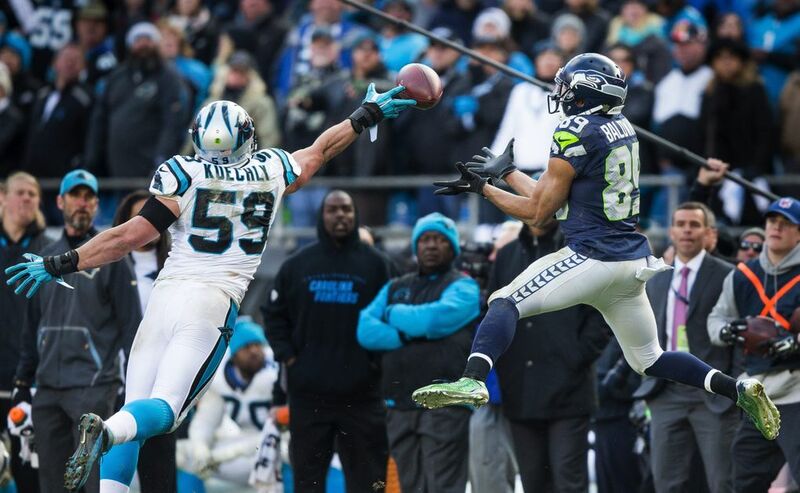 Lynch, though, didn’t appear ready for the pass and Carolina linebacker Luke Kuechly picked it off and returned it for an easy 14-yard TD –- and a 14-0 Carolina lead with 11:38 to play. 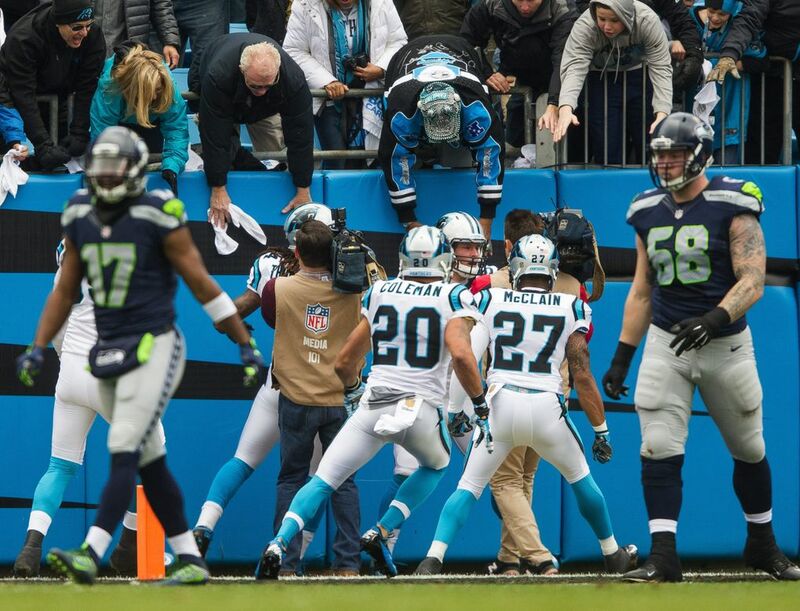 The next time the Panthers had the ball they went on a methodical 15-play, 86-yard drive to go up 21-0, as Stewart capped it with 1-yard dive over the top for a 21-0 lead with 14:18 to play in the second quarter. 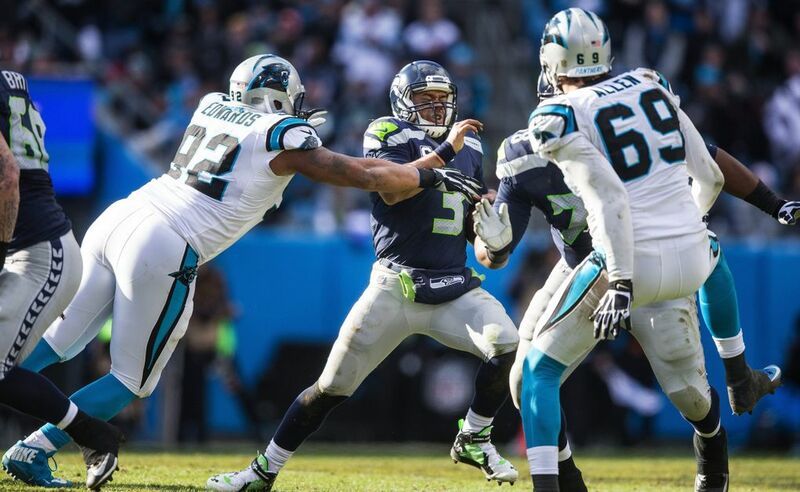 Carolina QB Cam Newton was 5-of-6 passing for 65 yards on the drive. 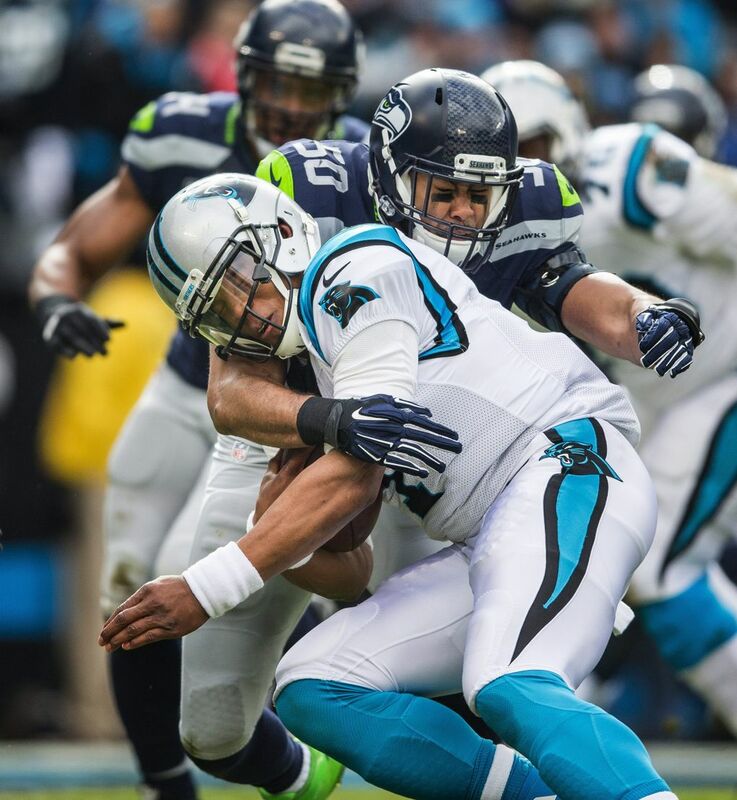 The Panthers kept the pressure on with an interception leading to field goal and then a 54-yard drive for another touchdown to make it 31-0 with 6:26 to play in the second quarter. 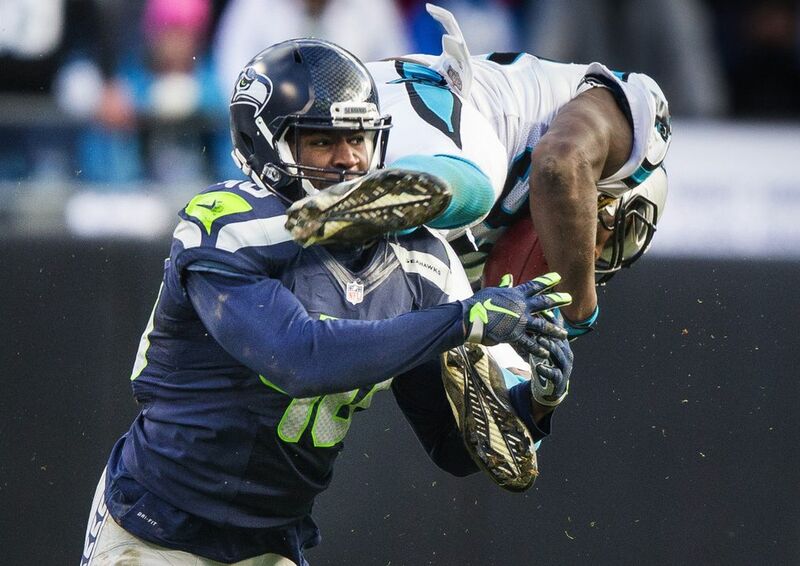 At that point, the Panthers had a 213-17 edge in yards, with nine first downs to one for the Seahawks. 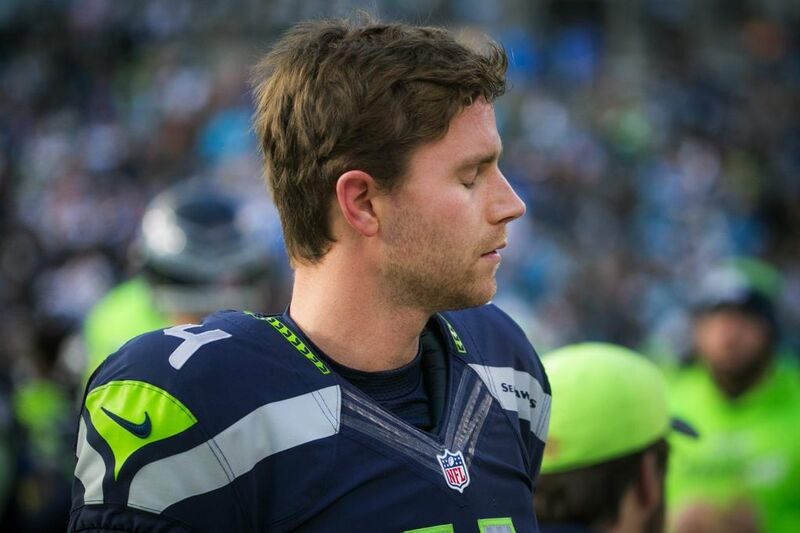 The first half ended symbolically as a 54-yard field-goal attempt by Steven Hauschka into the side of the field with a little wind came up a little short and right. 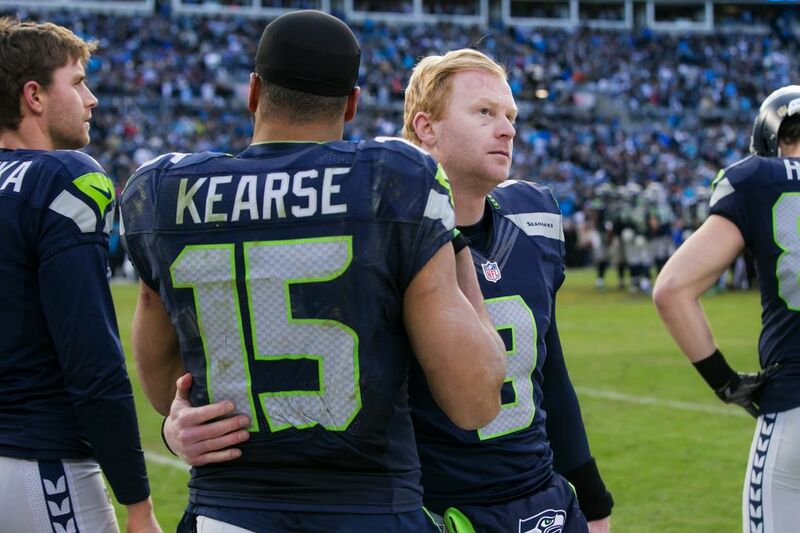 Seattle then dominated the second half, leading to a few what-might-have-beens as the game ended. 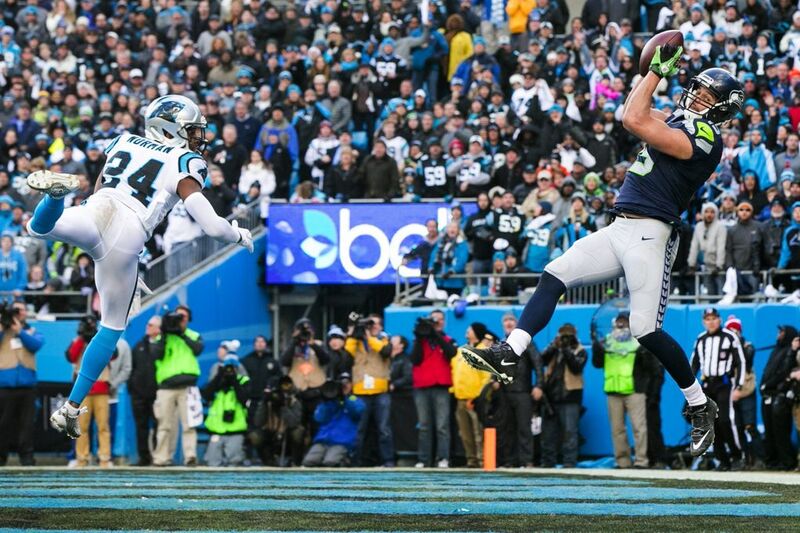 The Seahawks used a good Tyler Lockett return and a penalty to start the second half on the Carolina 35 and quickly cashed in, Wilson hitting Jermaine Kearse for a 13-yard touchdown. 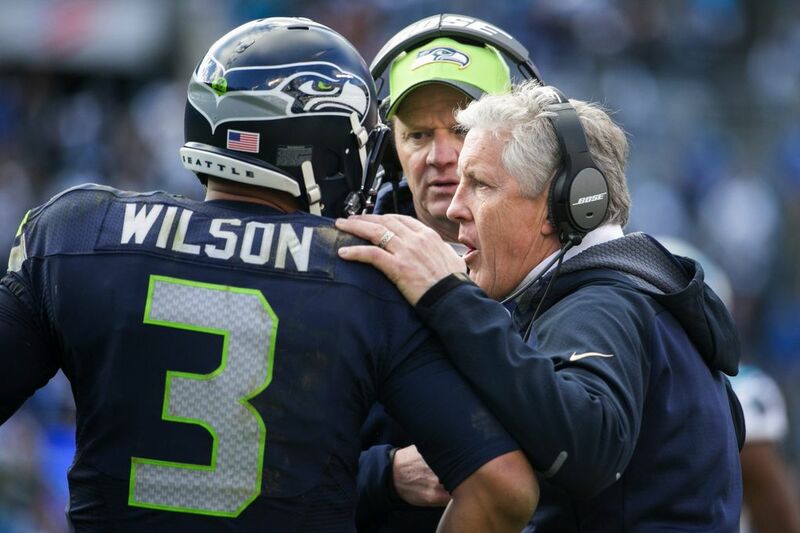 On Seattle’s next possession, the Seahawks again scored quickly, Wilson hitting Lockett for a 33-yard TD in the corner of the end zone — the second third-and-10 conversion the Seahawks picked up on the drive. 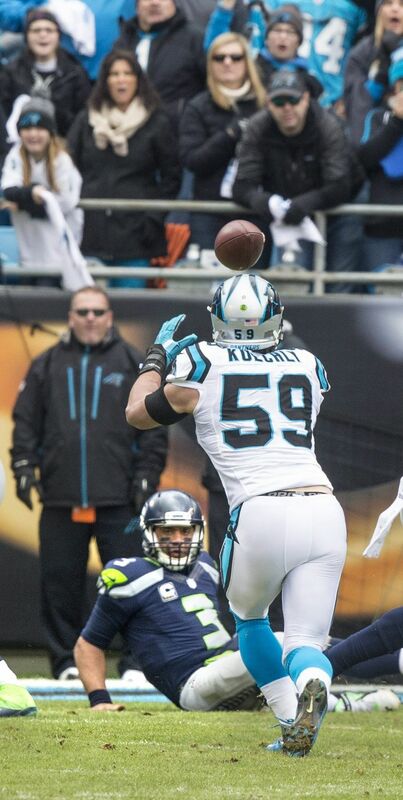 The pass concluded a seven-play, 63-yard drive. 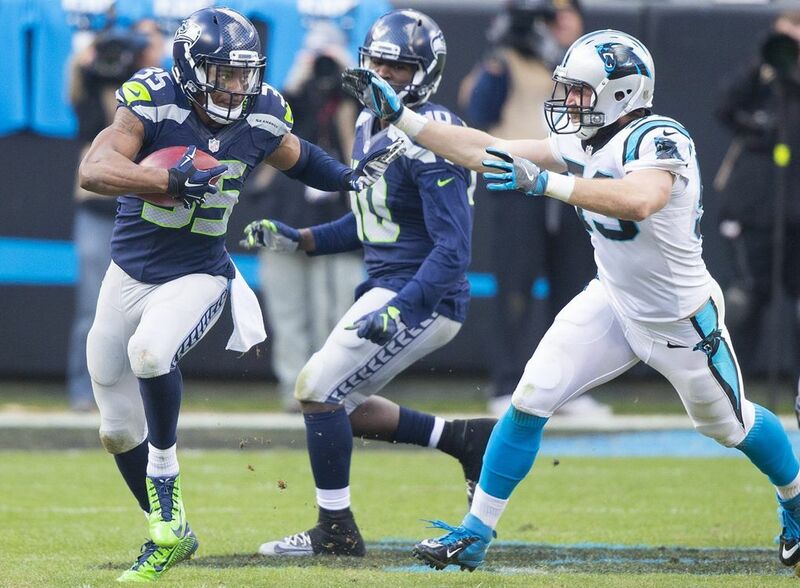 At that point, Seattle had pulled to within a 225-221 in yards. 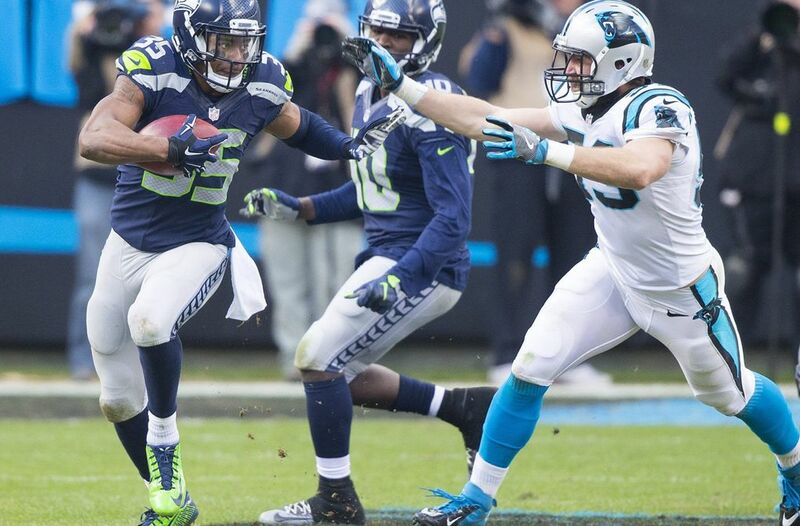 The quick third-quarter scores might have had the Seahawks kicking themselves over the way the first half ended. 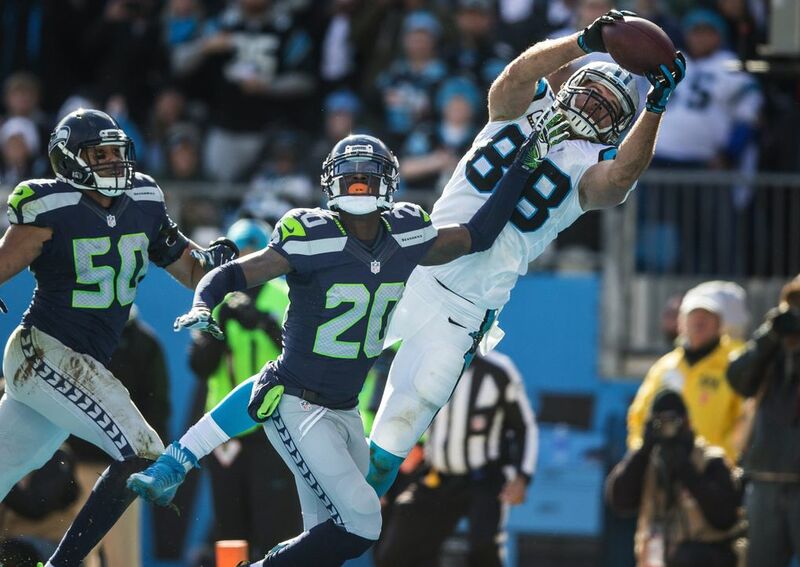 Seattle moved the ball its own 20 to the Carolina 14 on one drive but came up a yard short of converting a fourth-and-5 on a pass to Doug Baldwin, eschewing a field goal they might have wanted later. 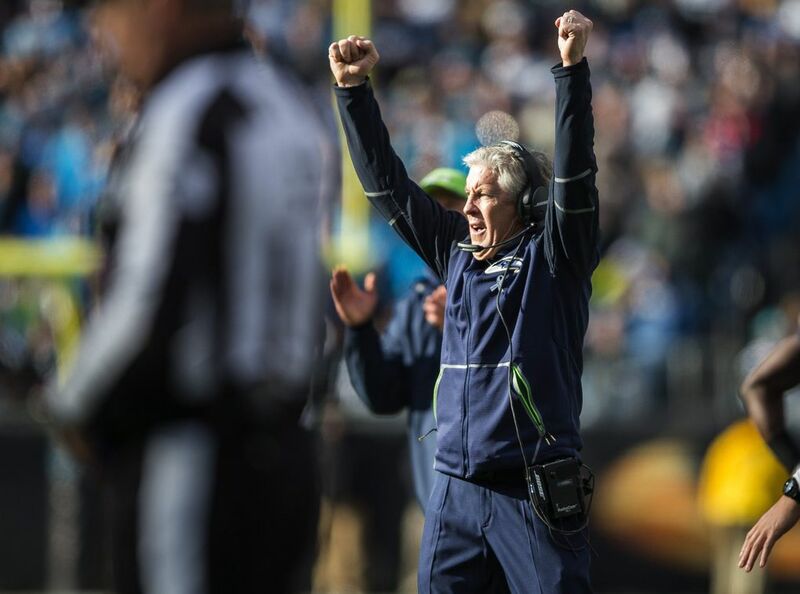 On the next drive, the Seahawks got the ball back with 1:05 left, but then used 55 seconds to run three plays and had to settle for the long Hauschka field-goal attempt that came up short. 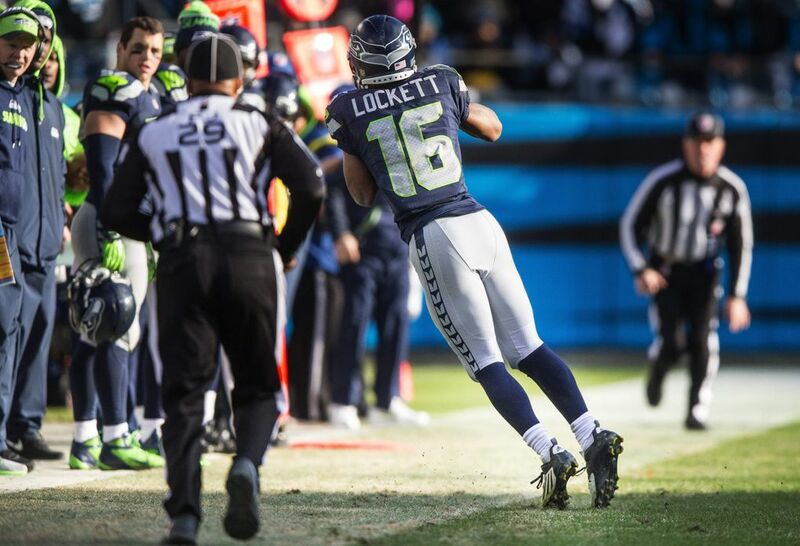 Another critical play in keying Seattle’s comeback came with 9:20 left in the fourth quarter as Lockett was initially ruled out at the end of a 27-yard catch at the Carolina 46-yard line. 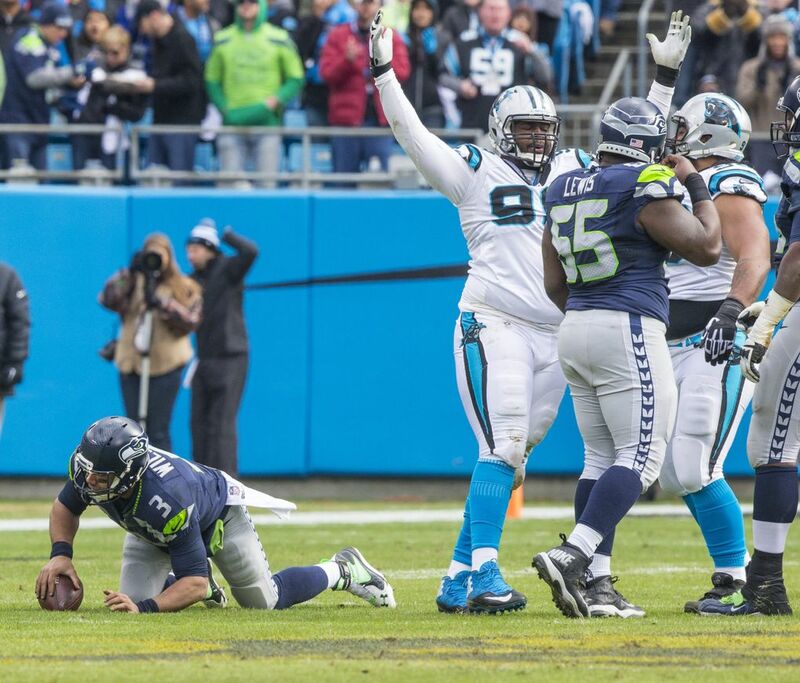 The Seahawks challenged and won and had a first down instead of third-and-10. 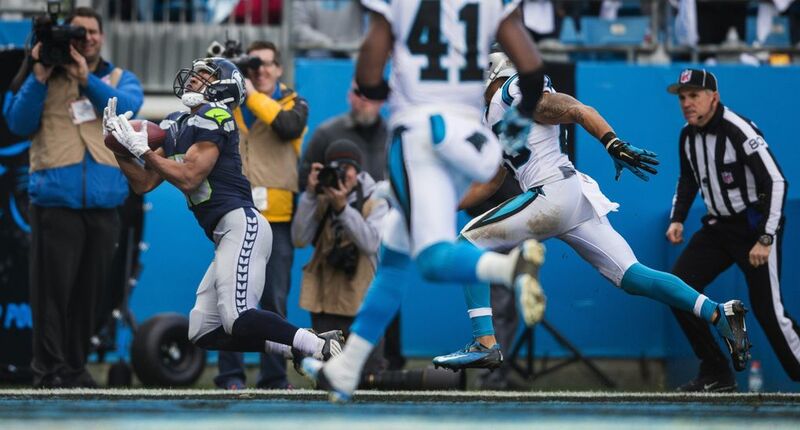 Three more completions and a Lynch run got the Seahawks to the 7. 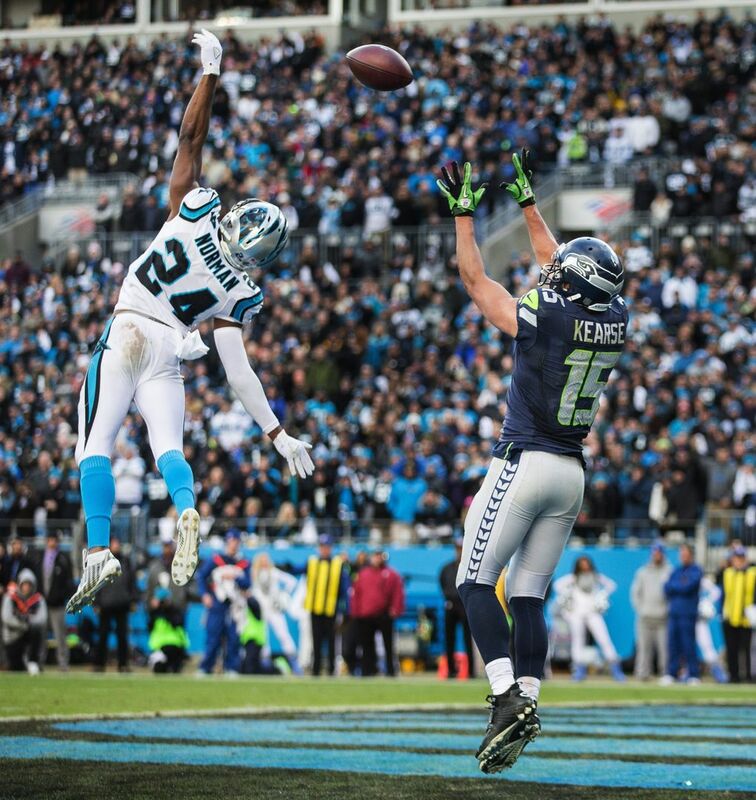 On third-and-3, Wilson rolled out and spun away from pressure, then lofted a pass over Carolina All-Pro cornerback Josh Norman in the back of the end zone to Kearse, who made a leaping catch for a touchdown with 6:04 remaining. 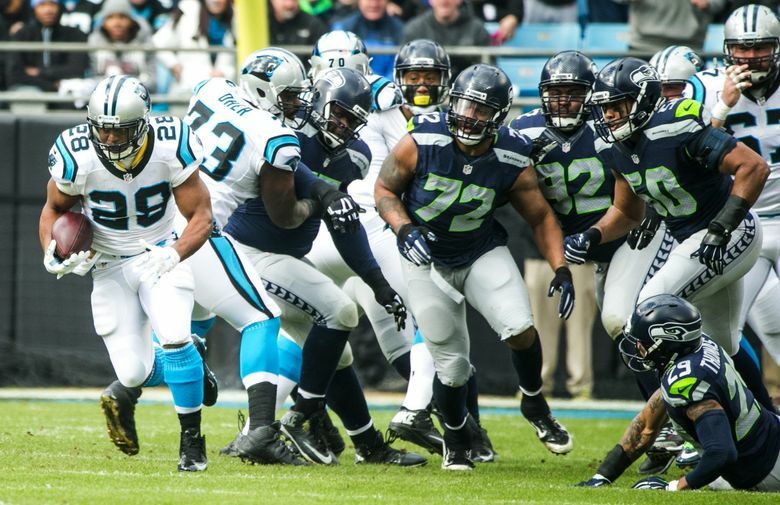 The Panthers took over at the 31 and got a first down to run sometime off the clock before the Seahawks got the ball back at their own 22 with 2:49 remaining. 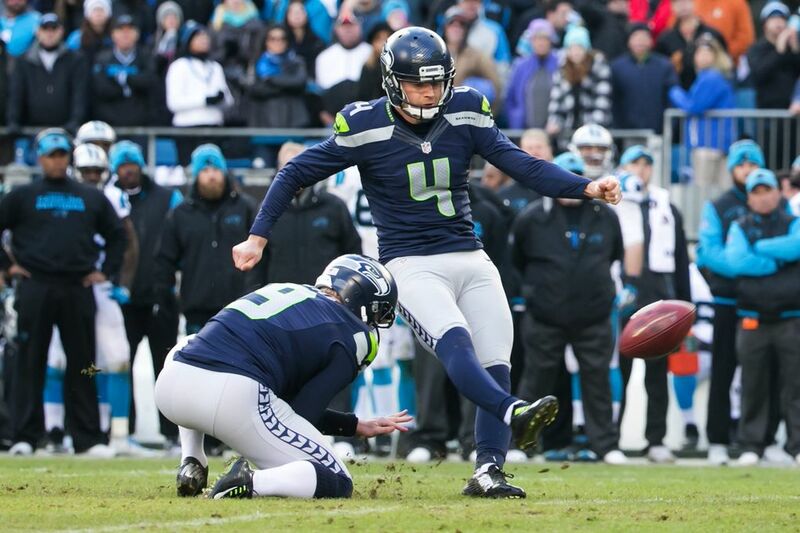 The Seahawks drove to the Carolina 13, but after a penalty moved them back could not move and decided on a Hauschka 36-yard field goal with 1:12 left. 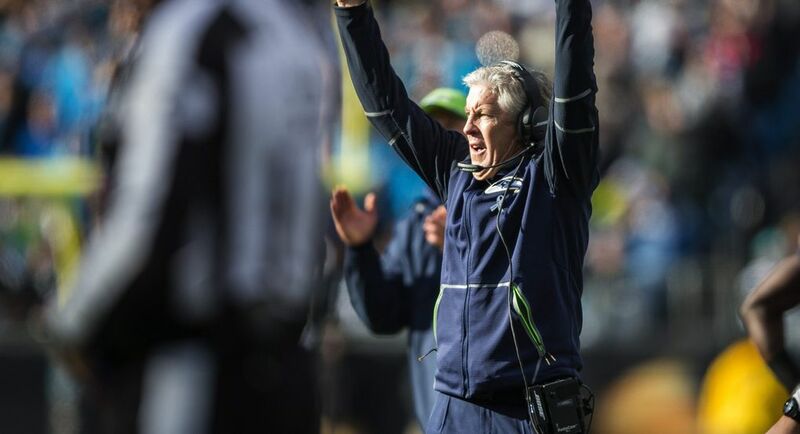 That left the game up to an onside kick — exactly what the Seahawks were able to get last year to come back and win the NFC Championship Game against Green Bay. 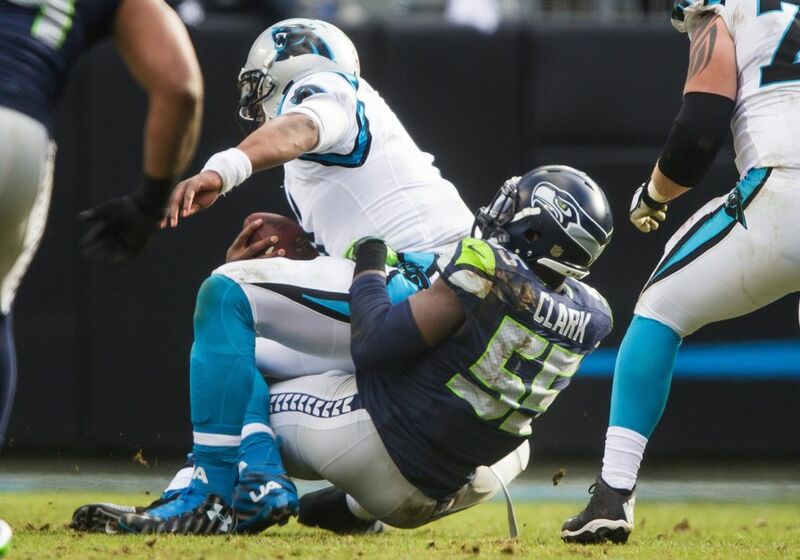 But Carolina All-Pro linebacker Thomas Davis hung on to the kick despite being upended by Seattle fullback Derrick Coleman, and that was that.